If you are looking for a mountain bike that can initiate you into the world of full suspension riding, then this Diamondback bike may just be exactly what you are looking for. It is designed to cope with all kinds of terrain and can also offer the reduced road clatter when on trails with a lot of messy ground under the wheels that you might want when going off road or riding on rural roads. We got hold of one of these bikes and took it for a spin so we could tell you whether it is as good as it sounds! There are lots of different levels in mountain biking, as we are sure you appreciate. The Diamondback 29” cycle places itself at a price point that is suitable for beginners, but also has the build quality and design that will make it suitable for more experienced riders, too. The frame is incredibly robust and also light – an important factor for those riding off road – and the large wheel size makes the bike easy to command on bumpy surfaces. Gear changes happen slickly and effortlessly, and even the novice will find this bike easy to set up for different terrains and gradients. For more experienced riders, none of the thrill of mountain biking is lost on this easy to ride bike, you will still find it a challenge on harder trails, but you get the distinct feeling the bike is working with you rather than against you. While marketed as a beginner bike, the Diamondback Cycles 29 incher also has potential when you get beyond the novice stage of your riding career. We think that with a little tuning and perhaps some new tires, you could take this beginner bike into just about any territory you wanted, and still find it exciting and responsive to ride. 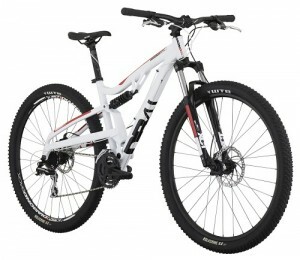 If you are looking to buy a bike that will be kind to you as a beginner but will also see you through intermediate and even advanced stages in your riding life, then this is the ideal bike to go for, though you will need to pick up some tuning skills and some new parts on your way from beginner to serious mountain biker. Who Does This Bike Suit? Our own testers found this bike to be great for their average height bodies, but having spoken to other riders of different frames and read user reviews we have seen that this seems to be a bike that will work well with most body types. While the large wheel size may make it look intimidating for shorter riders, we have spoken to women of 5ft 3” who loved the bike and also people in the lofty height ranges of 6ft 4” + who found it very comfortable and enjoyable to ride. At Extreme Sports X, we have been hard pressed to find a good beginner mountain bike that offers great value for money and will be suitable for just about any rider, but the Diamondback seems to genuinely have it all. For a bike with longevity, an easy to grasp riding style, and a comfortable build for almost anyone, you really can’t go wrong with this one! This entry was posted in Bikes, Diamondback, Mountain Biking, Reviews and tagged Diamondback, Diamondback Cycles Recoil Full Suspension Bike, Mountain Bike, Mountain Biking. Bookmark the permalink.